We had so much fun last week, checking in with the contenders of the 2011 National League MVP, that we couldn't resist checking the pulse of the American League MVP race. Lately, the AL MVP race has garnered more attention and discourse. Across the twitterverse and other Interweb chat rooms, Jose Bautista and Justin Verlander have faced off in numerous philosophical debates regarding the intent of the MVP award being open to Pitchers and Position Players. To choose sides on that debate, I'd say that pitchers are absolutely eligible for MVP awards, but to win one they have to be so outstanding that there is no discussion. If there are two players, a pitcher and a position player, who are almost equal in value, I'll side with the position player. There's one month left in the season, which leaves plenty of room for one of the following players to distinguish themselves and run away with the award. The Red Sox have an amazing team this season, with a strong pitching staff and three everyday players playing at the top of the American League. Ellsbury, Pedroia, and Adrian Gonzalez have been leading the Red Sox in the right direction better than any other treesome in baseball. The Yankees, of course, are stacked with great players all around the field, and an absolute monster in Sabathia every five days. While Robinson Cano is flourishing in his prime, no-one in pinstripes has come close to doing what Granderson has done this season. Ben Zobrist is perennially under the radar, but he's keeping it together in Tampa. J.J. Hardy may have been the best bargain this offseason, but the star of the AL East is none other than Mr. Jose Bautista. As we said at the beginning of this post, a lot of baseball will be played over the next month. At least five players in the AL East still have a chance. This division is easy to see. Verlander towers over the rest of the competition. In fact, his steepest competition may be from his teammates, Miguel Cabrera and Alex Avila, who are both having 5.0 avWAR seasons. It's a surprise this division was as close as it was for as long as it was. 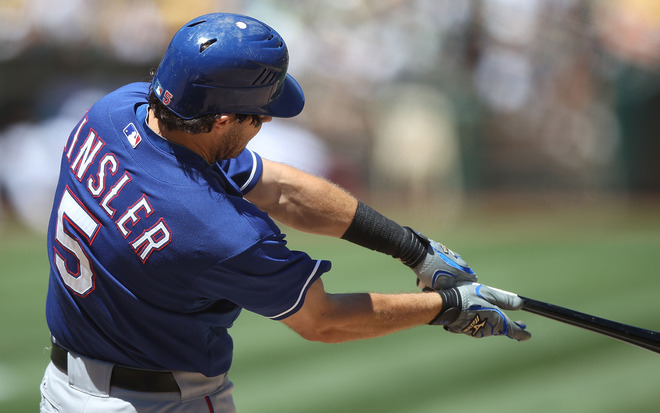 When healthy, Ian Kinsler is a force. The West is usually won with pitching. Jered Weaver has probably been the second best pitcher in the American League this season. King Felix and Gio are also representing their AL West Coast clubs very well. Travel inland a few hundred miles, to Texas, and you'll find the defending AL champs winning with power, speed, defense, and pitching, lead by free agent to be C.J. Wilson. In fact, in breaking news, the Rangers just added a few more warm bodies to the roster by dealing for Matt Treanor and Mike Gonzalez. The Texas Rangers are trying to sprint to the finish line, to extend the three-and-a-half game lead over the second place Angels. Just like last week, during our NL MVP exercise, let's share a few more stats to check back with at the end of the regular season. Who knew Bobby Abreu was doing so well this year?! Of note, Curtis Granderson is next on the list with 3.09 WPA. Weighted On Base Average may be the finest way to meadure offensive performance on the baseball field. The Red Sox, Tigers, Yankees, and Rangers are all over the leader board above. Not so coincidentally, they will likely be the playoff teams next month. High Five's all around for the MVP. Up to this point, with about a month left, this conversation should begin and end with Jose Bautista. 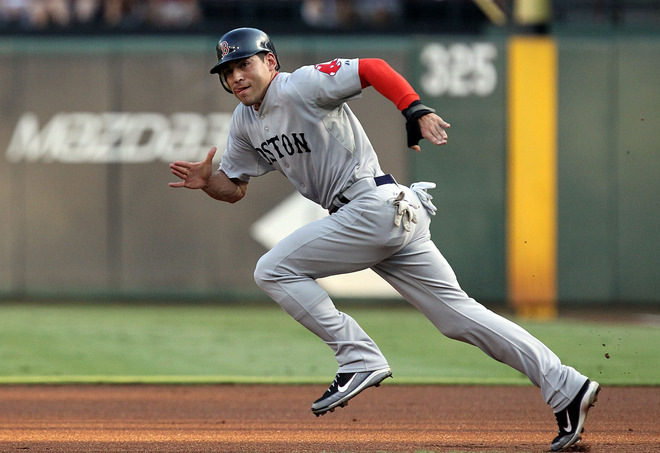 The three Red Sox hitters, Ellsbury, Pedroia, and A-Gon all have a case at winning the award. In times like these, votes of New England's writers will likely be split among the three Red Sox players deserving votes. Justin Verlander has a loud chorus of supporters, but it may be too much to expect him to do any more tha he has done. Meanwhile, he trails Jered Weaver in WPA, so he isn't even really running away with the Cy Young award. So, I think the American League MVP will be Jose Bautista. If he is overtaken, it would likely be by Curtis Granderson. Finally, I see Justin Verlander sitting pretty in 3rd place for this vote, but winning the Cy Young Award for the first time in his already spectacular career.